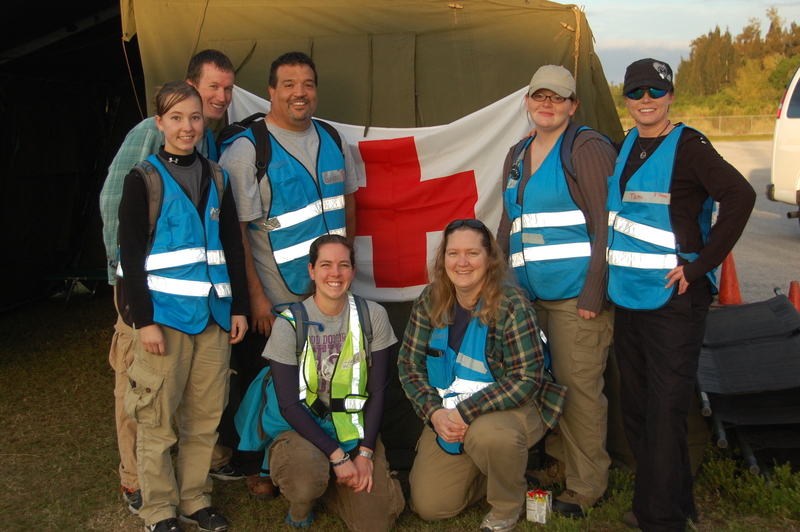 The Consortium for Humanitarian Service and Education (CHSE) based at Indian River State College (IRSC) in Ft. Pierce, FL held its annual ATLANTIC HOPE humanitarian simulation exercise March 7-10, 2013. The event is the only U.S. based multi-day field simulation designed to prepare community college students for working in complex emergencies including conflict zones. The program attracts students from both community college and 4 year college environments. The exercise, coordinated by Dr. Paul Forage at IRSC, has been held since 2000. The objective of the exercise is to “test the ability of disaster relief and humanitarian studies participants to apply what they have learned about the planning and conduct of relief missions in a full-scale simulated disaster environment.” Increasingly community colleges are emphasizing a range of international career tracks including humanitarian careers. This year a total of 14 students from IRSC and Northern Oklahoma College (NOC) in Stillwater, OK participated in the event. Students came from a range of disciplines including liberal studies, nursing, international studies, child development, and emergency management. This year for the first time CHSE will host a program for graduate students March 14-17, 2013. Forage’s work has been supported by grants from the U.S. Institute of Peace.